Tips. Fast loading blog certainly favored by visitors. Because they do not have to wait so long and they can look for all the posts with ease. So it can raise pageview, and of course very supportive in terms of seo (search engine optimization). If your blog is heavy, then do not expect visitors will linger live on our blog. Surely they would look for information on other blogs are loading faster because it saves time for them. Based on the principle I create a blog, a good blog should open within 3 seconds. If more than 3 seconds then I will perform special actions to minimize the burden of loading the blog. Not all templates will fast in loading. Therefore, choose a template that has the burden of loading as possible. You can search on google search with the keyword "fast loading website templates". Keep you only install essentials widgets only in the sidebar. For example, the blog archive, recent posts, popular posts. Widgets besides not installed. 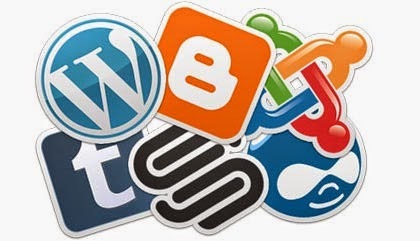 As more and more widget it will be heavier loading of your blog. The more images on your post it will make the blog more severe loading. So you can try to put a little picture might be in the area of the post, which is an important image alone. However, if there are specific reasons that require you to upload a lot of pictures in the area but did not make a blog post to be heavy, then you have to insert the images into spoiller. Thus loading the blog will remain mild though many images in the post area. That's just my opinion the most important information in making your blog to be light and may be useful for you. Good luck and thank you for visiting.